The latest report is that Microsoft has officially announced the next version of its computer operating system called `Windows 10’ and will be launching a Window Insider Program enabling users to comfortably run the early beta software access to Window 10. Its first preview would be made available for desktops and laptops and a build for server would be following later on. The company provided details stating that its new operating system will have a tailored user experience with various screen sizes, for instance if the user has a smaller device, then you will see different form of user interface and the code would run across all device categories - `One product family, One platform, One store’. The amazing news is that Windows 10 has been designed to run across all the devices including, tablets, phablets and smartphones besides, laptops and desktops.Microsoft has stated that they are opening this beta process in order to get feedback from users early on and that this would also be a learning experience for the company as well as user would get some experiments in new builds thoughprobably would not make it to the final version. Microsoft is presently focusing on Enterprise value, device management, the ability to customize the store to the device the user is on and an option to protect data, to be more precise, the ability of the enterprise to manage their devise and customize their application store, etc. 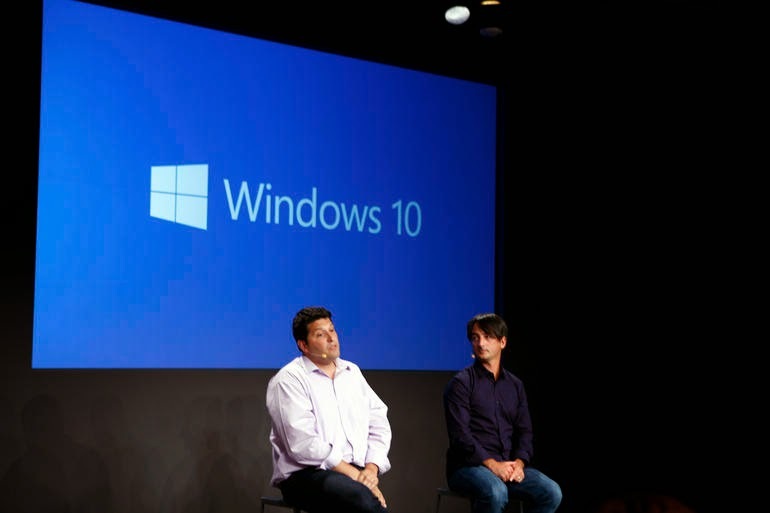 According to Terry Myerson, Microsoft Executive VP of Operating Systems, he states that `Windows 10 will be running on the broadest amount of devices with a tailored experience for each device. There would also be one way to write a universal application, one store, and one way for apps to be discovered, purchased and updated across all of these devices’. The company, as expected is striving to bring back some of the features of Windows 7 which includes a redesigned start menu combining the basic Windows 7 menu with the resizable tiles of the Windows 8 start screen. Windows 8 Metro app also can be opened in a windowed mode on the desktop to save from being taken into the full screen mode through default and can use `modern’ Windows 8 alongside with a standard Windows desktop app. With its focus mainly on the keyboard and regular mouse combo for functions with the operating system, the company has emphasized that it is not doing away with `touch’ and Windows 10 will continue to have a similar Windows 8 Start Screen for touch enabled machines. Some changes in the gestures will alter a bit in Windows 10 where swiping in from the left now tends to give a task view, though the overall features will be same to Windows 8 and the Windows 8 Charms bar would be still available. The release of Microsoft’s OS is expected to be sometime in 2015 after the company’s Build Developer Conference to be held in April. If users intend to get their hand on an early version of Windows 10, they could sign up for the Windows Insider Program on October 1 to get the early preview build on laptops and desktops.